Like most current Russian weapon systems, the three-stage solid propellant Topol is a remnant of the Cold War. Its latest test last week in the missile range of Kaputsin Yar in Astrakhan Oblast was a resounding success for the 28-year-old program, which has two variants. Originating in the Moscow Institute of Heat Engineering, the Topol ICBM, codenamed the SS-25 Sickle, was the final and most dangerous land-based ICBM produced by the former Soviet Union. The Topol-M is the road mobile sibling unveiled in the 1990s and developed by the Russian Federation. (Previous ICBMs involved the former socialist republics.) Codenamed SS-27 Sickle by NATO, according to online database Missile Threat, the Topol-M still represents the cutting edge of Russia’s nuclear arsenal. The Topol-M missile is capable of making evasive maneuvers as it approaches its target, enabling it to evade any terminal phase interceptors. It almost certainly also carries countermeasures and decoys to decrease the chances of a successful targeting. The same brief confirms the Topol-M’s best characteristic rather ominously. The Topol-M, also has considerable utility as a first strike weapon. A successful first strike hinges upon the destruction of the enemy nuclear force, and the Topol-M, should be capable of that task. The US’ Federation of American Scientists (FAS), on the other hand, published an excellent chronicle of the Topol-M’s woes throughout the 1990s, where it endured a laborious testing schedule that continues to this day. With a payload of 550 kilotons and a 10,500 kilometer range, the Topol-M’s lethality is compounded by the fact that it can carry multiple warheads even if this is forbidden by current treaty obligations with the US. But with so few Topol and Topol-M’s are in service, Russia is forced to rely on more dated “legacy” missiles. Based on estimates published by Russianforces.org, less than 100 Topol-M’s are deployed while another hundred Topol’s are in silos. 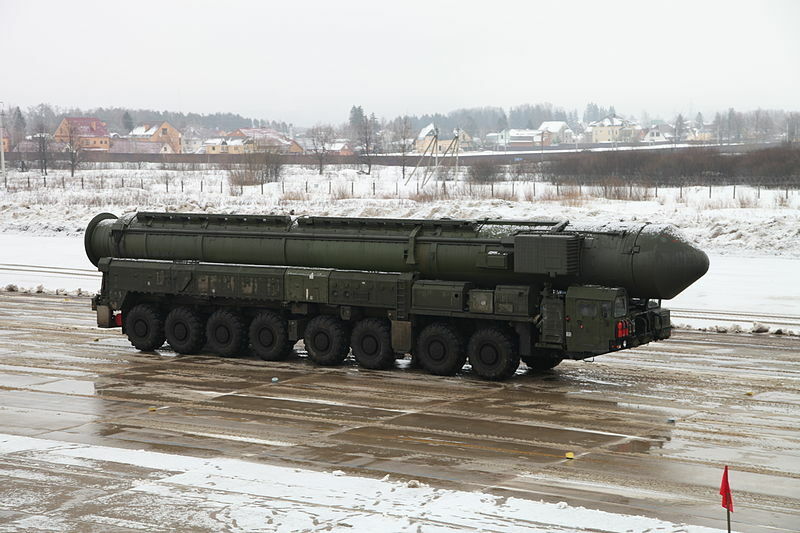 Since Russia is rebuilding its military, some 500 Topol’s will be introduced to the Strategic Missile Forces –currently under Lt. Gen Sergei Karakayev–by 2020 along with brand new types of ICBMs.